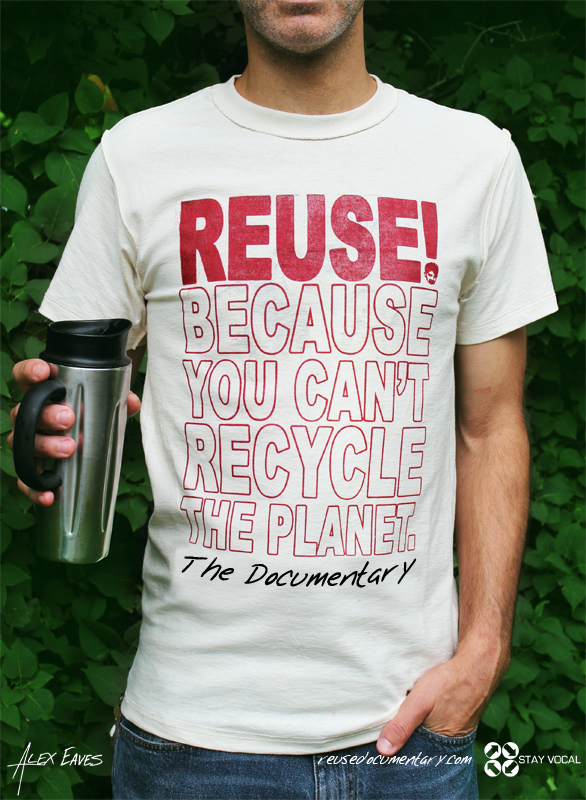 While Alex was printing some Equali-tees, he noticed that some of the REUSE! design was being printed on the shirts accidentally. Instead of discarding the shirts, he decided to simply add the full print, making these limited edition unique mix up shirts. Garments: Brand new, old stock T-Shirts and longsleeves from a company that went out of business. Print Size: roughly 17" x 17"
Print Location: Front of blank shirts.